Right before winter, taking some time to inspect your wiper blades would be also a priority. We have already compiled a Volkswagen Parts Special regarding all your tires and mats needs, this winter. Alberta road conditions can be hard on your vehicle. Both our summers and our winters feature extreme temperature changes that can severely impact the drivability of your Volkswagen. Actually, Pincher Creek, just 100 kilometers east from Lethbridge, holds the record for the most extreme temperature fluctuation in Canada: from -19ºC to +22ºC in just one hour! More and more of the Volkswagen SUVs in Alberta are equipped with the VW 4Motion All Wheel Drive system. AWD provides stability and traction under most conditions, yet if the roads in the areas you are driving are really, really bad, we would recommend investing in a good set of VW winter tires. 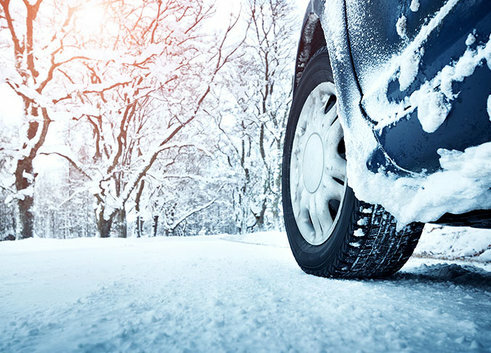 Winter tires are optimal for all temperatures under 7 degrees Celsius and can perform better on icy and windy conditions and when traction is non-existent. 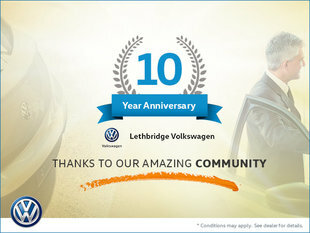 Even if your Volkswagen is already sporting winter tires, if its more than 5 years since you replaced this set, we would recommend an inspection by our qualified Volkswagen Technicians in Alberta.